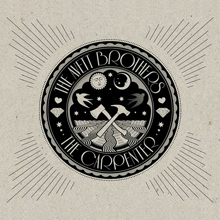 Death and winter play heavily on The Carpenter, the Avett Brothers’ seventh studio album (and second with producer Rick Rubin, for his American label). 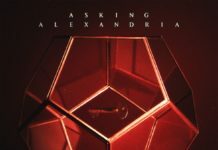 And while these themes are quite weighty, the execution at times is uncharacteristically flat—polished to the point of extinguishing the raw emotion that defined the band’s past releases. 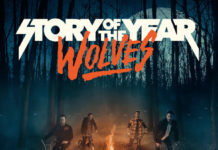 No traces of screamed vocals a la I And Love And You’s “Kick Drum Heart” are to be found, and Scott Avett’s distinctive banjo is removed or relegated to the background in all but a handful of tracks. Still, there are enough bright spots on the album to satiate fans who fell in love with their earlier recordings. “Live And Die” and “Down With The Shine” are traditional Avett Brothers bluegrass, buoyed by Bob Crawford’s stand-up bass and spot-on vocal exchanges between brothers Scott and Seth. Vivid imagery and engaging storytelling—another Avett Brothers calling card—draw in listeners close on several tracks. The woozy “Winter In My Heart” (“I miss the summer and the spring/The floating yellow leaves of fall/A million colors fill my eyes/The roman candles and the stars/Calendar says July fourth/But it’s still winter in my heart”) and the bass-heavy “February Seven” (“I went on the search for something true/I was almost there when I found you/Sooner than my fate was wrote/A perfect blade had slit my throat/And beads of lust released into the air/When I awoke/You were standing there”) are two examples of the band’s ability to spin a tale. The energy from back-to-back “Pretty Girl From Michigan” (which starts out with a plaintive piano, before breaking into a swinging beat, interspersed with fuzzy guitars) and “I Never Knew You” (an up-tempo, call-and-response breakup song) nicely counter ballads “Winter In My Heart” and “Through My Prayers.” But as the album reaches the final few tracks, it begins to go amiss. “A Father’s First Spring,” though a beautiful song with a touching storyline, comes across a little too indifferent for a song about family (especially compared to “Murder In The City” from The Second Gleam EP). “Geraldine” is a little on the hokey side, lyrically, with an “ahh ahh ahh” chorus that seems to be there just for the sake of being there. But “Paul Newman Vs. The Demons” is the real head-scratcher, a sludgy outlier that is far removed from anything the band have done before—and it’s an experiment that perhaps they shouldn’t repeat. Many of the trademarks that have made the Avett Brothers a folk-rock cross-over success are still present: good storytelling, the brothers’ distinctive vocal lobs and a pleasant combo of banjo, bass, strings and both acoustic and electric guitar. 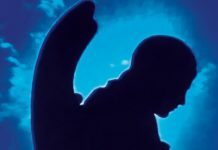 But with so many of the rough edges buffed away, there aren’t as many nooks and crannies in which listeners can embed themselves, making it more difficult to become emotionally attached to The Carpenter.